Craig Hogan's theoretical work has encompassed many areas of astrophysical cosmology: the origin of the elements, cosmic phase transitions and defects, magnetic fields, background radiation, cosmic reionization, gravitational lensing, cosmic structure and dark matter, global cosmological parameters, and gravitational waves. His research has been recognized by prizes including an Alexander von Humboldt Research Award, and the Gruber Cosmology Prize, awarded to the High-z Supernova Search Team for the co-discovery of cosmic Dark Energy. Hogan's recent scientific papers can be found on the preprint ArXiv. His current work is developing a theory of a proposed new phenomenon, which he calls "holographic noise", a fundamental, universal uncertainty in the fabric of spacetime, due to a fundamental bandwidth of reality at the Planck frequency, 1044 bits per second. With colleagues at Fermilab, the University of Chicago, and other institutions, he is developing an experiment, the Fermilab Holometer, to measure this effect. 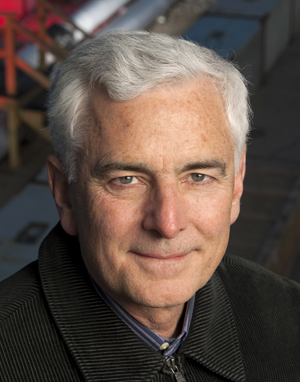 Hogan is also Director of the Fermilab Center for Particle Astrophysics.